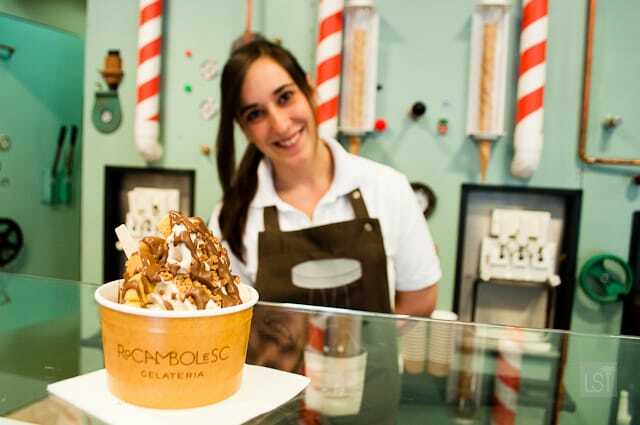 Home Luxury Holidays Europe Spain Rocambolesc: could it be Spain’s finest ice cream parlour? It was almost bound to happen. 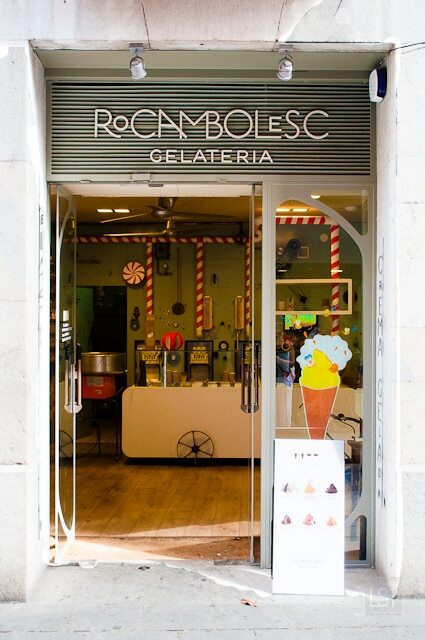 When celebrated culinary trio the Roca brothers opened Rocambolesc – an ice cream parlour in one of Spain’s most chic little cities – it was always set to be a hit. The Roca brothers’ reputation is an excellent one. However I’ve always found it a little of a strange claim to culinary fame. Josep, Joan, and Jordi own the second best restaurant in the world (not the first, that title has been held by Noma in Copenhagen, for some time). I’ve always found it an odd claim in PR terms. Yes, I understand Spain is proud to say one of its restaurants ranks high on the list of the 50 best in the world, but perhaps “one of the best in the world” sounds better than the second best? Either way, it’s of little consequence when you taste the fine fusion of flavours that the brothers pull together on the menu of their restaurant El Cellar Can Roca, in Girona. 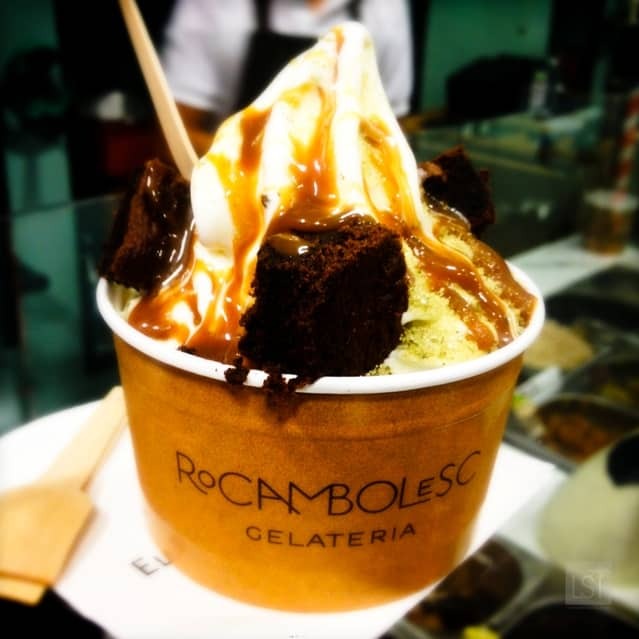 And, having tasted everything from Campari balls (which burst with flavour in your mouth), to a delectable mix of fig and foie terrine from the Roca brothers’ kitchen, I knew I had to sample ice cream from Rocambolesc in Santa Clara, Girona. 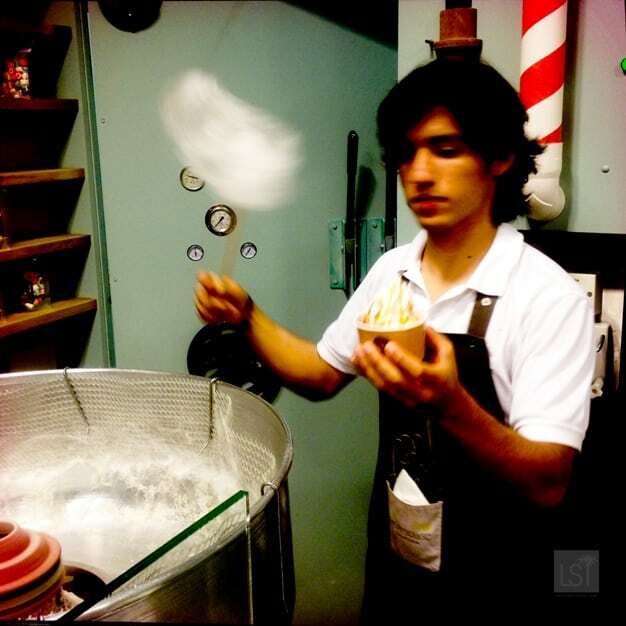 Spain isn’t especially known for its gelato. 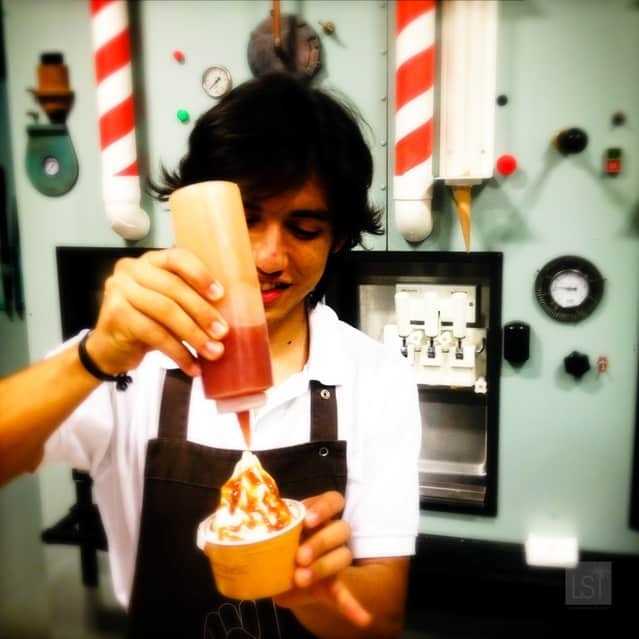 It’s not Italy – where passion for ice cream is as deep as that for opera and art. But Girona is awash with gelateria. However Rocambolesc is perhaps the best in town, and the best in Spain. It doesn’t have umpteen flavours of ice cream. 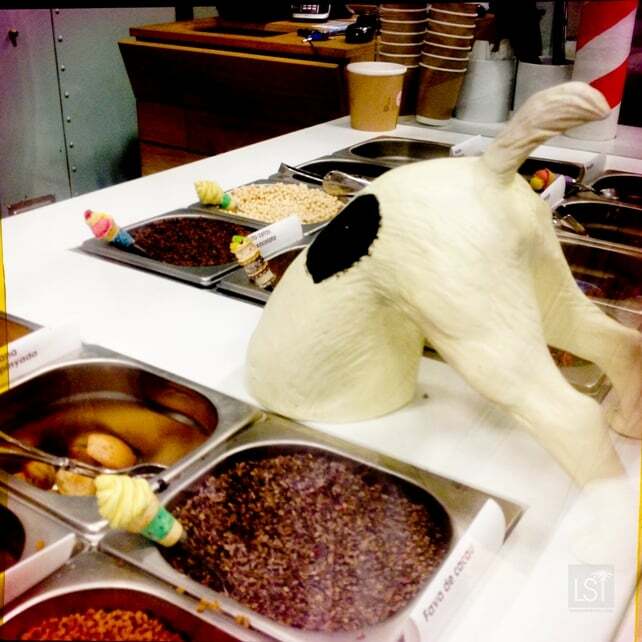 There are classics like vanilla and chocolate, alongside the more unusual tangerine sorbet and baked apple ice cream. But there are only six on the menu, all pumped from an ice cream van style machine rather than scooped from giant frozen bowls. 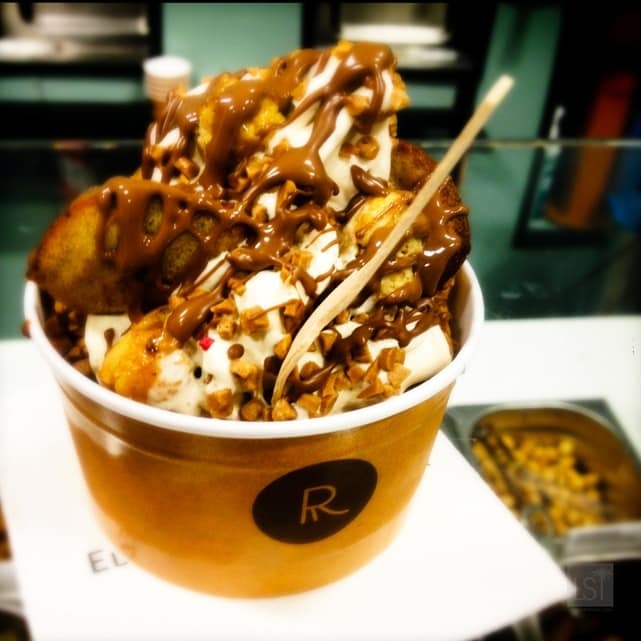 But at Rocambolesc it’s the added flavourings (a natural mix of fresh fruit, nuts coated in toffee, cookie and pieces of popular Magdalena cake), sauces and a little flair that are the hallmark of their frozen creations. 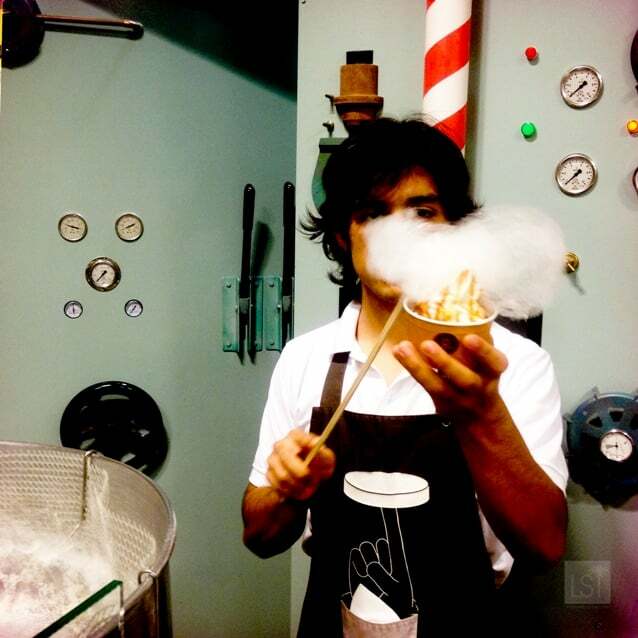 Take the yoghurt cup for example, beautifully topped off with a hairs’ breath of candyfloss. 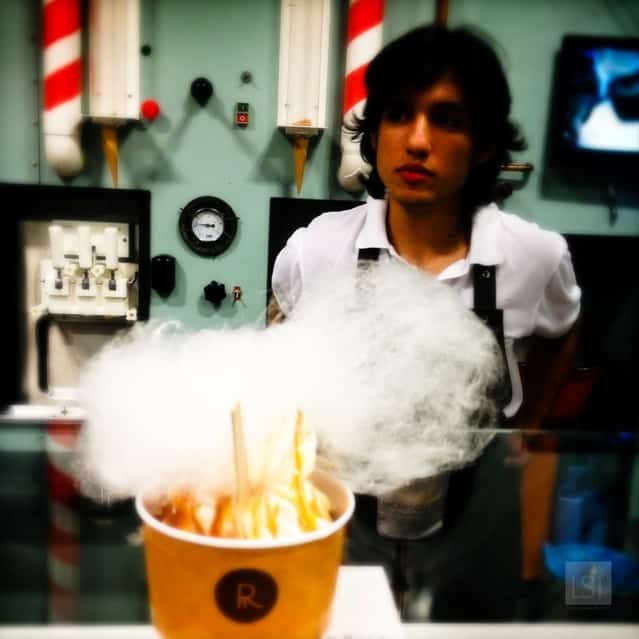 However it’s not just the ice creams that have wondrous styling. 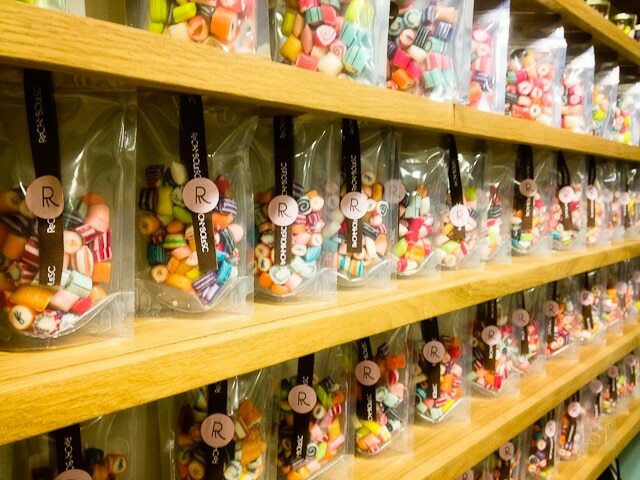 Rocambolesc indulges our sweet fantasies in Willy Wonka fashion. 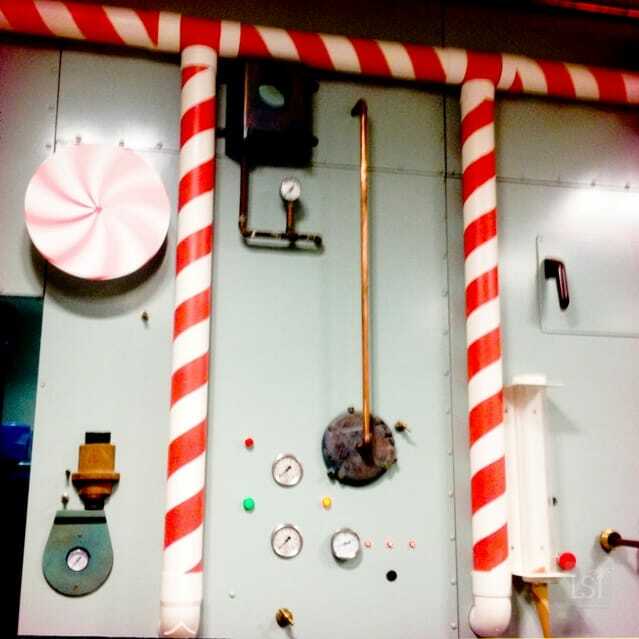 The tiny store, filled with candy cane pipes and spinning wheels brings quirkiness to the delightful heart of Girona’s old town. 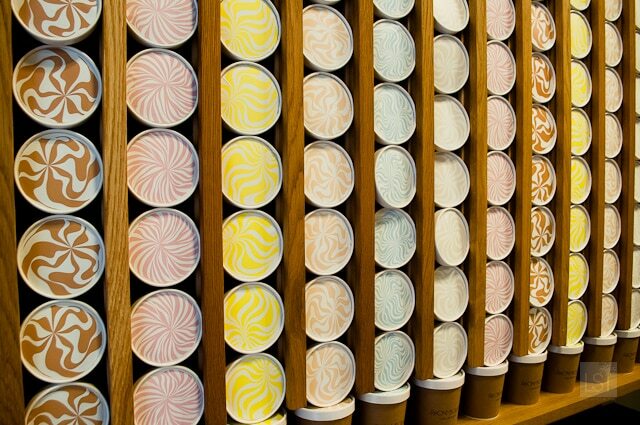 It’s the perfect way to sample a few of the sweet treats from El Cellar de Can Roca, without the more expensive sit-down meal. We stayed at a Wimdu apartment located in Girona’s the old town, a short walk from Rocambolesc.